A home is our sanctuary, we entertain there, grow up there and live day to day. When people decide to move, their lovely home ceases to be their home any longer and becomes an “open house” for potential new owners. Staging or styling your property in readiness for selling makes obvious sense. Living in your property for so many years you will naturally be a little blind to its condition, style and appearance and you will typically make excuses for any areas of neglect. Potential viewers however see it all and can easily be put off and move on to the next property or offer you a lower price costing you thousands off your realistic asking price. Cranberryhome’s home styling service like the House Doctor TV series is designed to be a quick low cost and effective way to style your property with a professional team. An in depth real time appraisal of your property in its current state, research in the property value and potential value are looked at initially and a plan put together for preparing your house for sale with different cost options. Our more modern attitude to staging and styling includes a tiered approach which means that you can ‘buy in’ a small team of stylists to prepare your property on a daily basis known as the ‘essential package’ or for something more appropriate then the ‘Enhanced package’ gives you a team to fully prepare your house for sale, giving you the best possible start to selling your home. As part of the service your professional home styling team will recommend: de-cluttering, de-personalising, purposing each room correctly as well as the potential to freshen up walls, flooring, tiling and even upgrade your kitchen. As industry experts we know how to connect potential buyers to a property, gone are the days of baking cakes and putting the coffee on, good home stylists use subliminal sensory stimuli to connect buyers to the property. Using our senses really helps connect us to the property and helps buyers visualise themselves in your home. Artificial smells are a big no no, so we use only natural fragrance enhance properties. After all, you only have one chance to make a first impression. Professionally staged and styled homes often go onto reach a higher sale price compared to a non staged home. A difference of 8-10% improvement in sale price is often achieved for as little as a 1% investment in the property. More and more property developers are using our services to sell their developments, where our quick turnaround helps them maximise profits. Hugo is a House Doctor Consultant and director of award-winning Cranberryhome, a property styling and interior design company based in Buckinghamshire. Often found at Ask an Expert at Grand Designs Live, Hugo is in demand as an interior designer all over the UK. 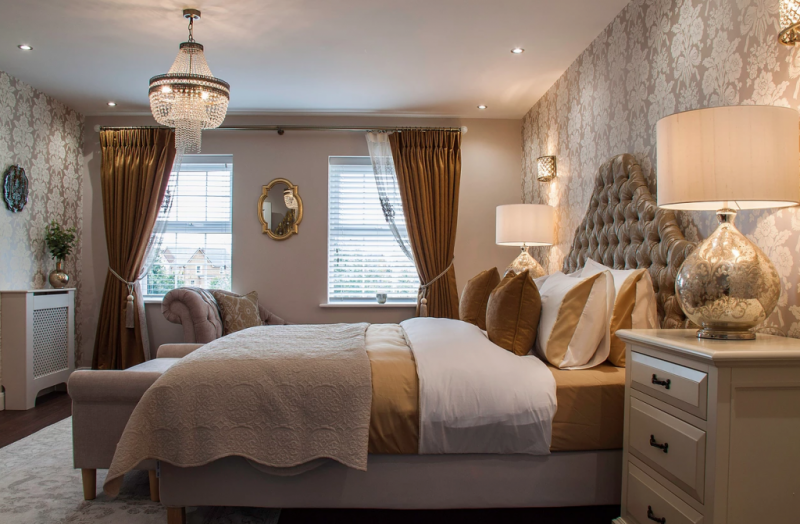 Focussing on property styling and enhancing homes, Cranberryhome works with both estate agents and home owners to improve saleability and selling price of homes across the Midlands and the south east of England. Cranberryhome was set up by House Doctor Consultant Hugo Fleming in 2014, quickly establishing the company as the go-to for property styling and interior design. Want to learn more about the company? Visit their website for more information and to see their latest projects.